I read this article and found it very interesting, thought it might be something for you. The article is called His Holiness the Dalai Lama hopes India’s Ancient Wisdom can enrich the world and is located at https://tibet.net/2018/12/his-holiness-the-dalai-lama-hopes-indias-ancient-wisdom-will-enrich-the-world-his-holiness-the-dalai-lama-in-sankisa/. Sankisa: Debunking the idea that destructive emotions are a natural part of human behaviour, His Holiness the Dalai Lama said this Monday that humans are innately compassionate and through the teachings of the ancient Indian wisdom, one can tackle and eliminate them. “In India, for centuries, there’s been a practice of ahimsa or nonviolence and secular principle. Besides, celebrating the diversity of religion and culture, India’s secular principle accords respect to non-believers. 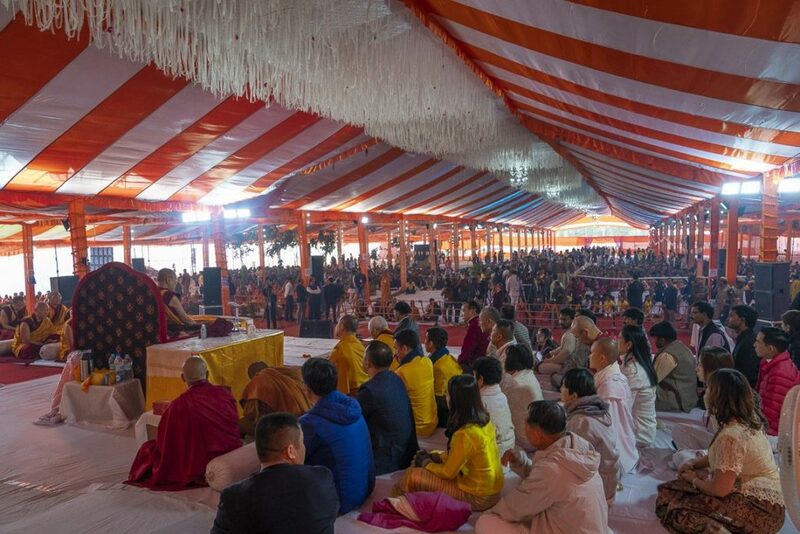 This is key to building peace and understanding,” His Holiness said, inaugurating his three-day teachings for Indian devotes at Sankisa, Uttar Pradesh. The teachings are being organised by the Youth Buddhist Society of India. YBS India is a volunteer, governmental, non-sectarian, non-political people’s development movement based on Engaged Buddhism established in the year 1986 in Sankisa by Suresh Chandra Bauddha in Uttar Pradesh, India. 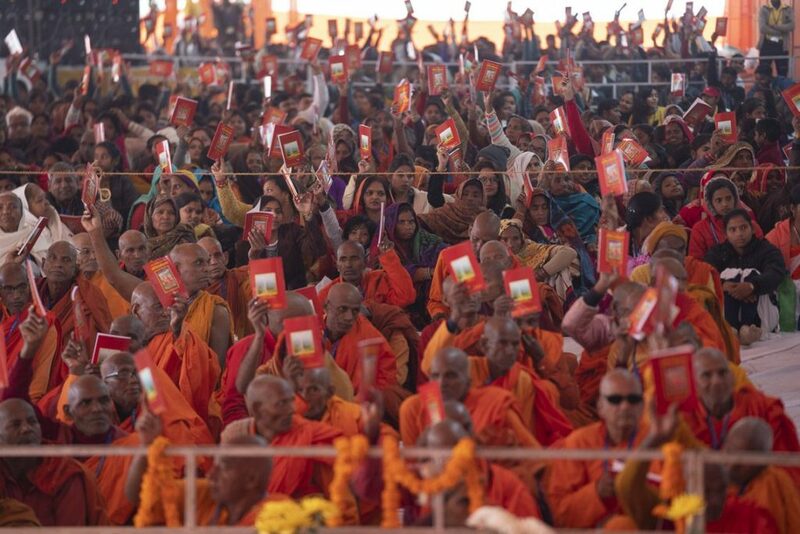 More than 15,000 people, mainly Indian devotees, had gathered at the YBS ground to listen to His Holiness’ dharma discourse. Kalon Trisur Professor Samdhong Rinpoche and representatives from Tibetan and non-Tibetan Buddhist monastic communities were present too. 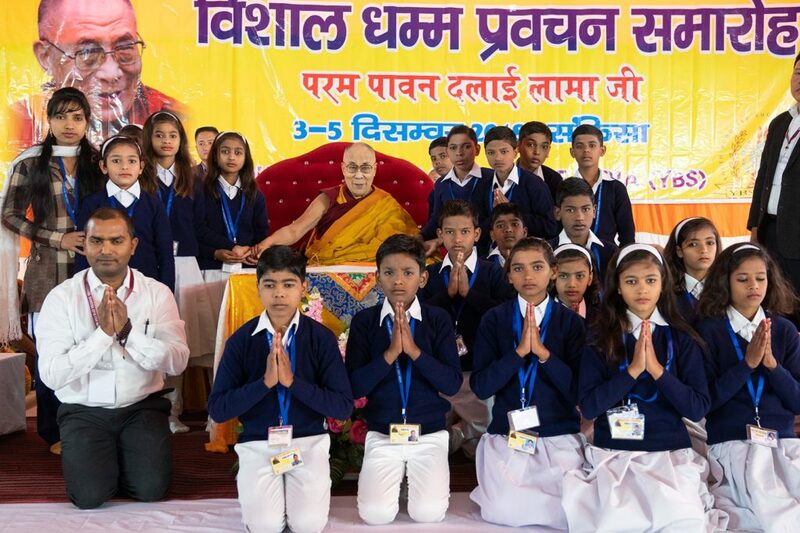 His Holiness said he has faith that the younger generation of India can bring the change through reviving the teachings of ancient Indian wisdom. By practice, His Holiness refers to the practice of ancient Indian traditions that deal with concentration and insight, shamatha and vipassana, that have accumulated a profound understanding of the workings of the mind. His Holiness also alluded to India’s centuries-old religious harmony, calling it previous and admirable. “India should serve as a role model for the rest of the world. With more than a billion population and for many centuries, India has practised and preserved its religious harmony. Hence, it shows that religious harmony is possible. Therefore, I urge my Indian friends to show to rest of the world that is possible. Delving into different religious branches and its purpose, he said there are different philosophical views within a religion and that is to enable human beings in further developing our practice of love and compassion. “In the Nalanda tradition of Buddhism, there are four schools of thoughts: Sarvastivada Vaibhashika; Sarvastivada Sautrantika; Madhyamaka, the Mahayana philosophy of Nagarjuna; and Chittamatra, the Mahayana philosophy of Asanga and Vasubandhu. 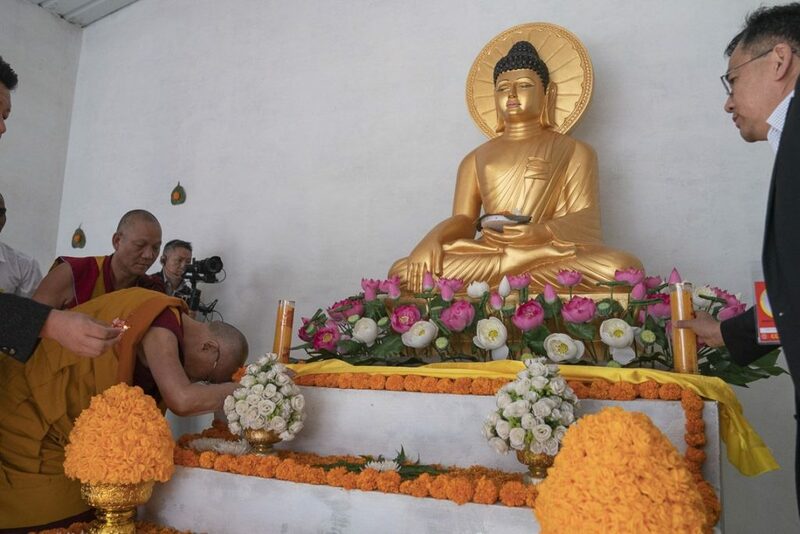 His Holiness conducted further on the introduction to Buddha’s teaching. He will give the discourse on Shantideva’s ‘Guide to the Bodhisattva’s Way of Life’ from tomorrow.